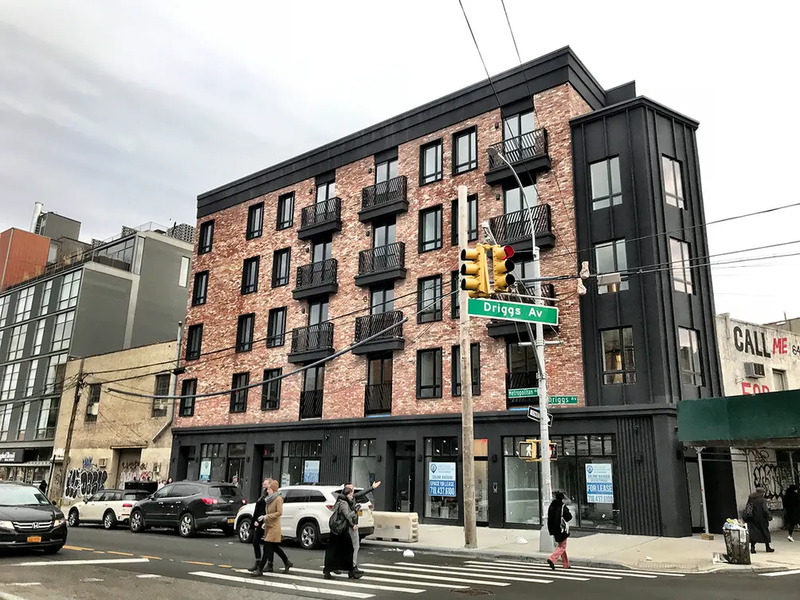 A newly constructed rental building at 268 Metropolitan Avenue in Williamsburg is now leasing. It has five floors and 24 contemporary residences in a variety of layouts with features like wide-plank oak flooring, expansive windows and private outdoor space. Located at the bustling intersection of Metropolitan and Driggs Avenue, residents have easy access to shops, eateries and also transit including the L train at Bedford Avenue and the G at Metropolitan and Union Avenue. It joins a plethora of new buildings in the neighborhood and has a virtual doorman, bike storage and a communal roof deck. 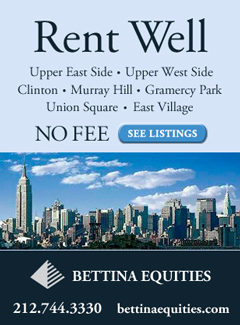 Listings for the no fee rentals are from EXR and show one bedrooms from $2,750/month and also a spacious four bedroom priced at $5,258/month. The building has a modern brick exterior with Juliette balconies dotting the façade. The residences have natural light, open layouts and kitchens designed with clean granite finishes and stainless steel appliances including a dishwasher. There is central air conditioning and the most convenient feature may be the in-unit stackable washer/dryer. Designer bathrooms have floating vanities, storage and soaking tubs. Residents are permitted to have pets. Current median rental prices in Williamsburg stand at $2,745/month for studios, $3,045/month for one bedrooms and $3,600/month for two bedrooms. 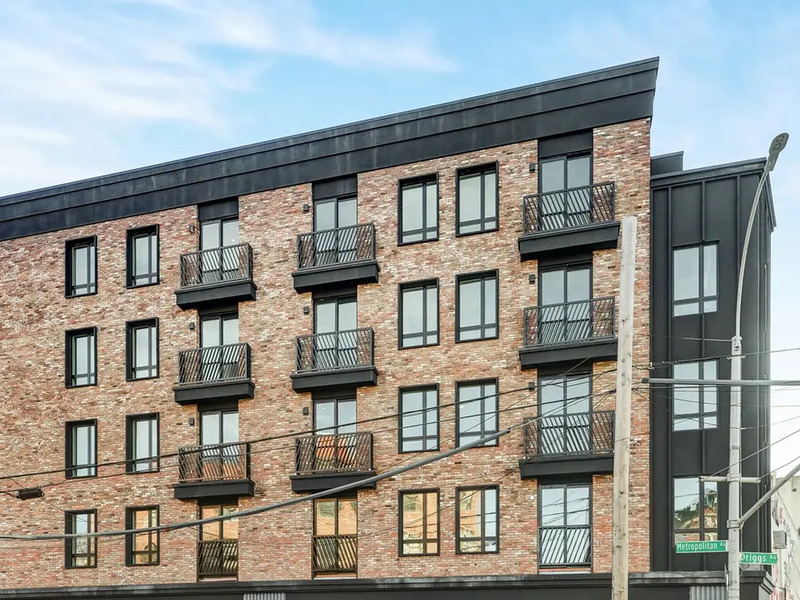 Nearby at the newly built 500 Metropolitan Avenue, listings show studios from $2,852, one bedrooms from $2,790, two bedrooms from $4,183 and three bedrooms from $6,655/month. At 349 Metropolitan Avenue, a pair of two bedroom rentals are listed for $4,100/month and $4,700/month and at 298 Metropolitan Avenue, a studio is listed for $1,800/month. Contact the 268 Metropolitan leasing team for more details here.